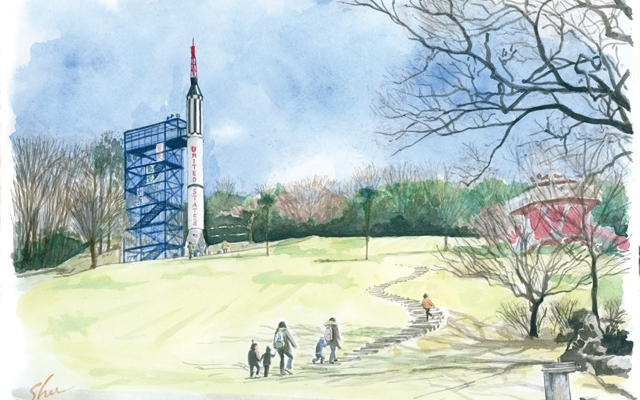 On the top of the gently sloping large turf slope, the rocket observatory. 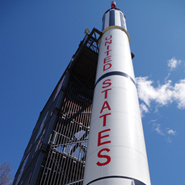 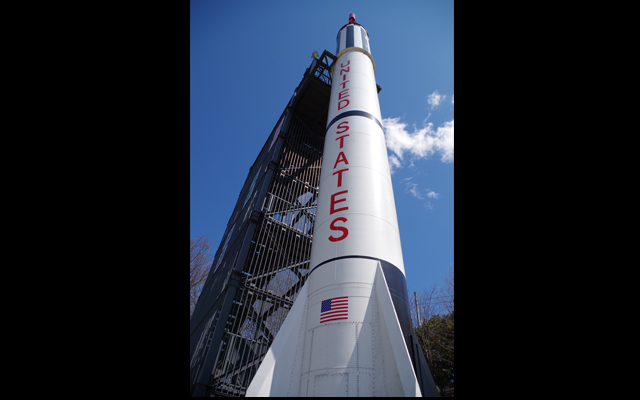 This rocket is US made Mercury · Redstone rocket. 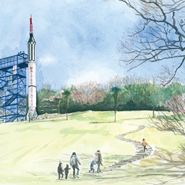 It is a real manned rocket! 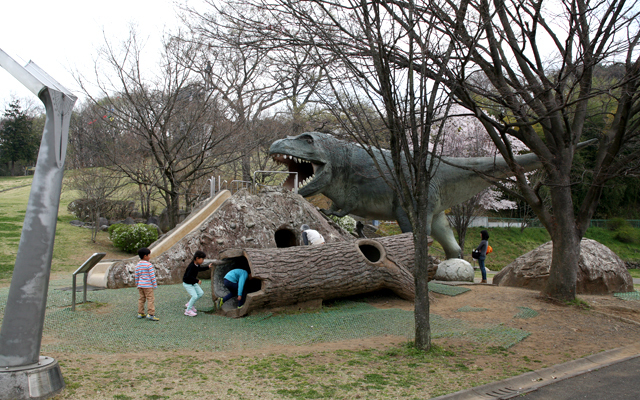 Under the slope, Tyrannosaurus will entertain the children. 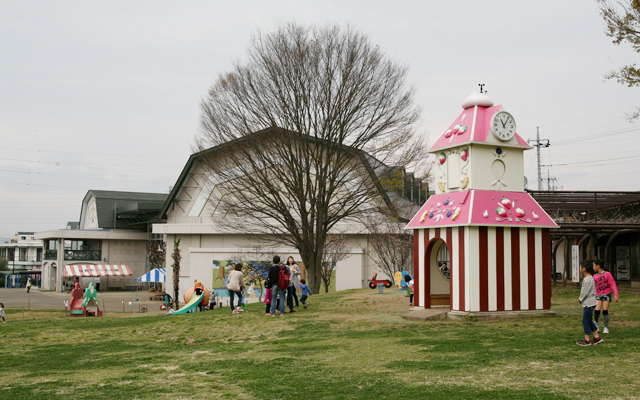 It is a park in Hori-machi, Sano City. 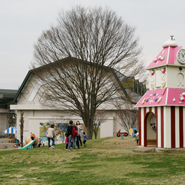 On the site that boasts 4 hectares, there is the main facility "Kodomo Children Center" in Kodomo country, and you can play plenty of plenty for a full day with plenty of events such as children's movies, children's events and lectures. 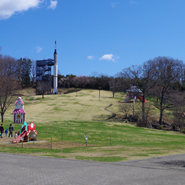 On the top of the hill, there are rockets, fishing boats in the pond, dinosaur slides etc ... And there are also interior, you can play with fine weather or rainy weather. 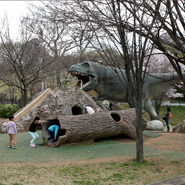 Outdoor is free, when using the general child center, Sano citizens and children outside the city are free. 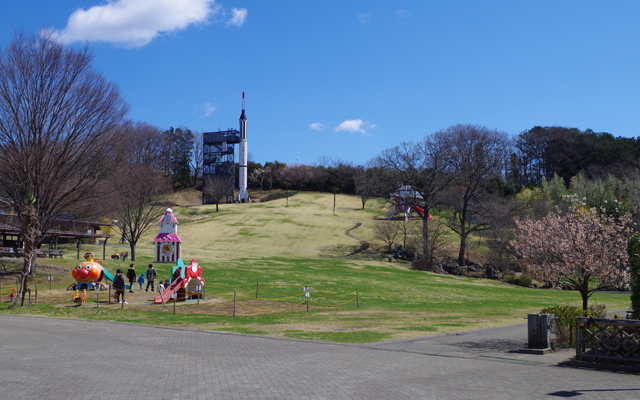 For adults outside the city 200 yen is required. 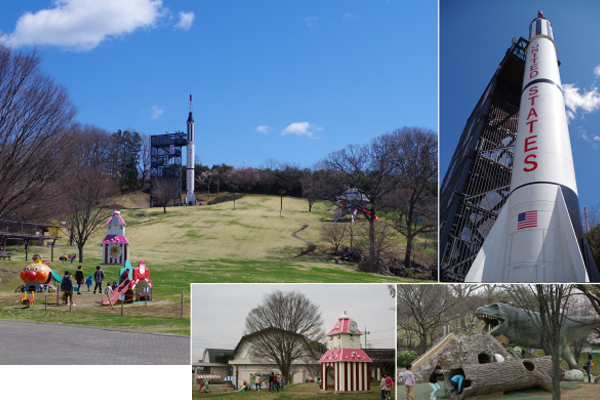 The indoor facilities are also substantial, and there are plenty of satisfying play if it is a child from a small child to elementary school students such as a slide descending from the second floor, a diorama of a train, a wonder house, etc.